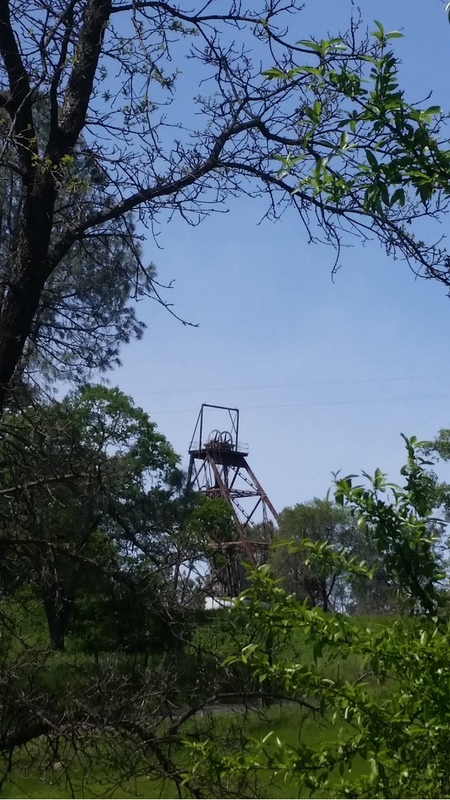 The Head frame of the mine as seen from Ridge Road outside of Sutter Hill. 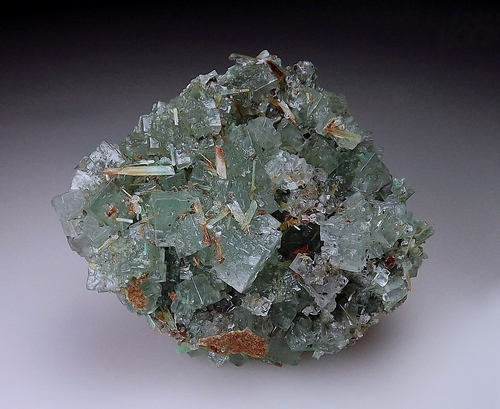 Grouping of lustrous mint green halites likely colored by copper accessories and associated with prismatic gypsum crystals. These new Moroccan apatites at their best can be pretty darn good! 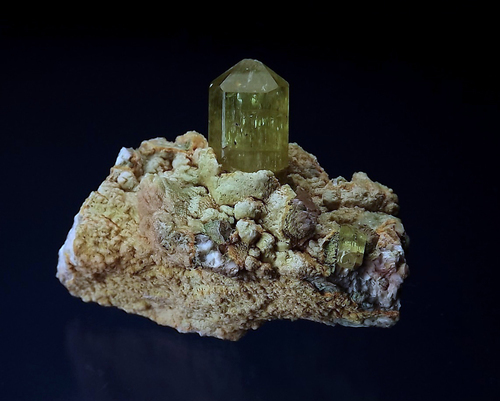 This one consists of a single 1 1/16" lustrous yellow/green crystal that is perched atop a matrix of drusy quartz coated feldspar(?). The crystal came loose from it's position on the matrix and so has since been repaired. 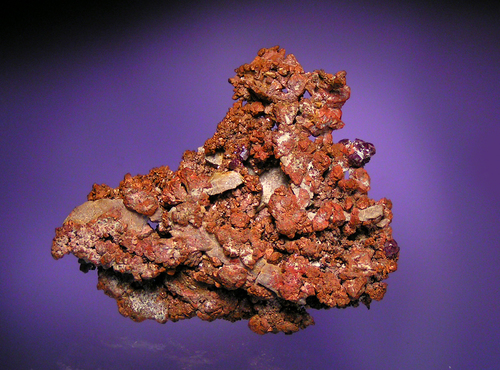 Specimen of crystalline copper with brecciated fragments of matrix embedded. Note: Specimen purchased in a collection from the Bob Olson estate. Mr. Olson purchased the Robert Chisholme collection, which was built during the 1930s-40s and was housed in two old depression-era wooden cabinets. 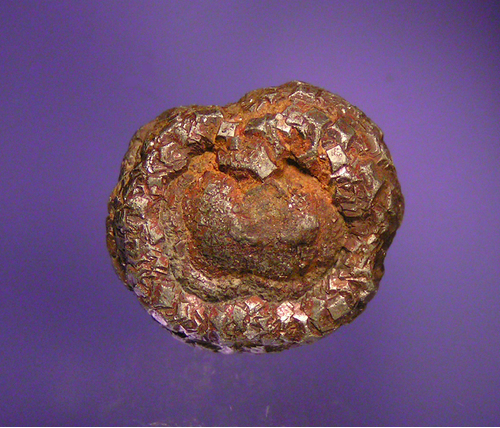 This copper is a part of that collection and was originally purchased from Hatfield Goudey. 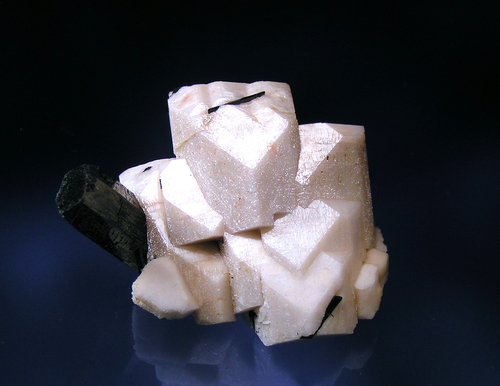 Nodular mass of brassy stained pyrite crystals. Specimen acquired in a collection from the Bob Olson estate. Mr. Olson purchased the Robert Chisholme collection, which was built during the 1930s-40s and was housed in two old depression-era wooden cabinets. This piece was from that collection. Jake and Dana Harper collection and photo. 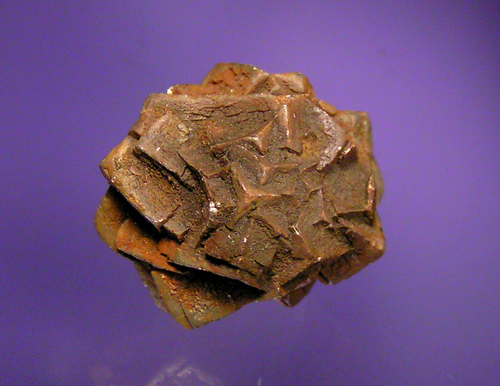 Rosette of brassy stained pyrite crystals. 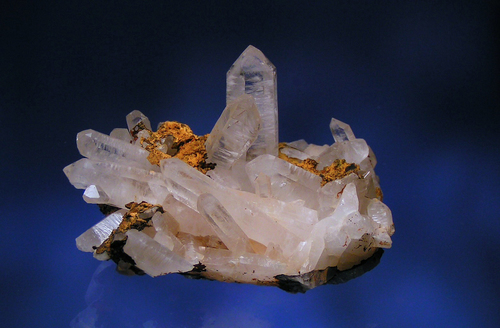 Sharp, lustrous quartz crystals form a cabinet sized grouping that is very pleasing to the eye. The esthetic arrangement with the main crystal towering over the others makes for quite a dramatic display piece, though there are a couple of crystals with small dings. The brown adhering clays add great contrast, texture and color to the piece, though they could easily be removed if so desired. There are contacts and minor damage around the bottom edges where the specimen contacted other pieces or possibly the pocket wall. Choice specimens of this size and quality are plentiful on the market nowadays and it is very easy to get a great one like this at shows! 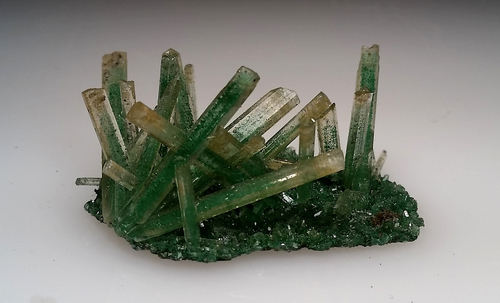 Choice, lustrous parallel grouping of microcline crystals with a terminated jet black aegerine attached to one side. Jake and Dana Harper collection and photo. 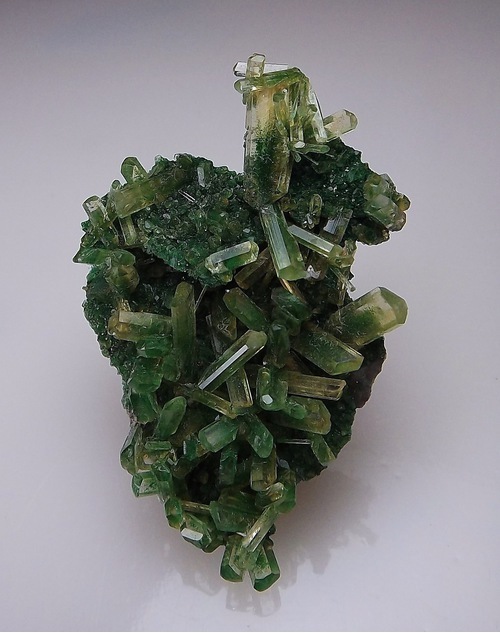 Green crystal group of gypsum colored by unknown inclusions.